Medical training models and medical simulators assist in the learning of practical skills under the most realistic conditions. 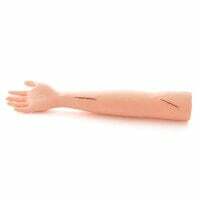 In our online shop, you will find skin suturing trainers, injection arms and other medical training models. Many medical skills can be learned in theory, but still require practice. Special medical training models and simulators are often used, so that training does not have to be carried out on patients. Such simulation models allow one to learn various medical activities under calm, yet realistic circumstances. For example, skin suturing and knotting techniques can be trained on the skin suturing training model. Suture Training Arms are available in various models. In addition to the simple pad, there are also anatomical models of life-sized arms and legs that create a particularly realistic feel. 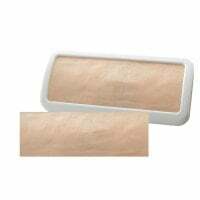 The synthetic skin on such simulation models recreates the look and feel of human skin, so that resistance and consistency of the synthetic skin best matches that of real skin. The Injection Training Arm can be used for learning injection techniques and administrating infusions or drawing blood. On the inside of the anatomical model of an human arm, you will find synthetic veins that can be filled with synthetic blood, so as to provide an even more realistic simulation. Brand new in our assortment is the tape training model from HeineScientific. This training model allows for demonstrating, learning and practicing taping techniques with kinesiology tape and cross tape on the knee. Purchase from a nice selection of medical training models at attractive prices. You can also find additional models, skeleton models and anatomical wall charts in the "Anatomical Models" category, right here at Praxisdienst.